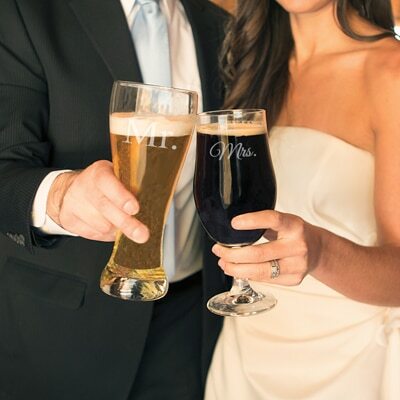 Our trendy Mr. & Mrs. Pilsner Beer Glass Set will bring a touch of charm to your wedding reception, anniversary party or date night. 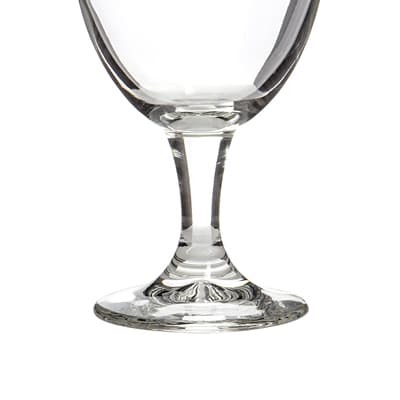 The set includes two crystal clear glasses. 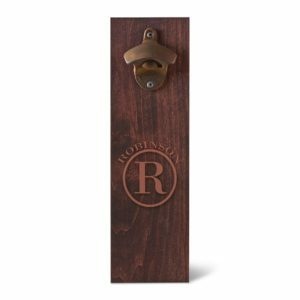 Mr. is etched on one and Mrs. is etched on the other. Designed to match his & her styles, the “Mr.” glass is a traditional, sharp silhouette of clean masculinity. 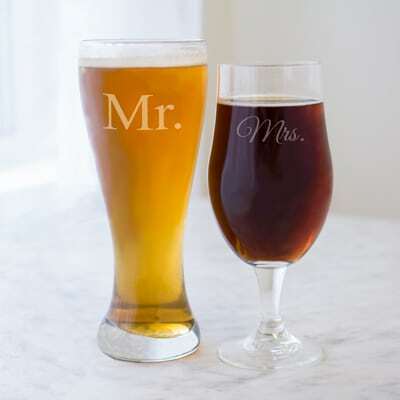 The “Mrs.” is a stemmed reflection of soft, poised curves. 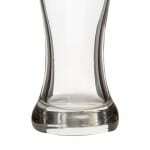 Mr. pilsner glass measures 3.5” W. (at top) x 8.5” H.; holds up to 20 oz. 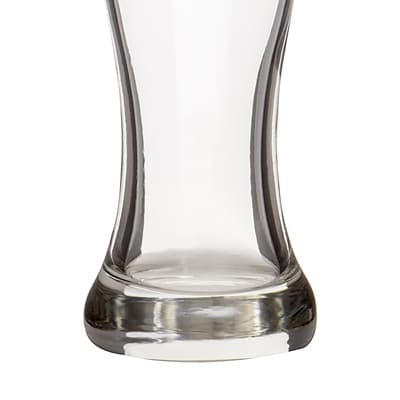 Mrs. pilsner measures 3.75” W. (at middle) x 7.875” H. ; holds up to 16.5 oz. 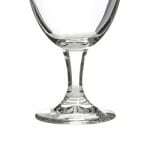 Crafted from hand blown glass.